In 1870, more than 4,000 years after it was built, the Great Pyramid in Egypt was still the world's tallest man-made structure. By 2010, only 140 years later, there were more than 10,000 buildings taller than the Great Pyramid. This book is about what caused this change and what will change next. After Eton and Oxford, when he won a open scholarship, Jamie Cawley went into marketing, starting his own company. Jamie's first book, Beliefs and the World They Created (Matador, 2015), received critical acclaim. He currently lives in China with his wife and children. As well as the past and present, it also ventures speculatively into the future, with some very well argued predictions about what will happen next and the impact on the human condition. But it's most impressive on how we got to where we are now. I predict that after reading it, you'll feel as though you're seeing things much more clearly. One of those "Ah, now I get it" moments. A really excellent book. A must for any fans of the history of the world. So many loose ends joined and a fascinating theory examined. Many thought provoking suggestions and a compelling read. This is a book that needs to be read more than once. A history book that reads more like a thriller! Most fascinating for me though were the predictions by the author of what will happen in the next 80-200 years - when the period we know as NOW becomes the period he calls FOREVER. 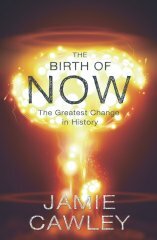 The Birth of Now is one of those books that wanders easily between the comfort zone of the popularist reference and the realm of serious study. It is easy to read and factually accessible but with enough content and, decisive and logical argument to quench the appetite of even the driest academic throats.